The authorship piece is pretty straightforward – you have a fresh and authoritative voice on a worthwhile topic and you turn that into a manuscript on spec and on deadline for a publisher. The “othership” part is the part that was not as intuitive and centers on your ability to personally sell your book in volume to your “platform” of potential customers. Here are the five best lessons I learned about how to do that from my experience as a first-time author. If you don’t have a platform, co-author your way to one – When I outlined my idea for a potential book, I asked a friend of mine, Mike Figliuolo, who had published a book before, for his advice. The best lesson I learned from him is that publishers in my space (non-fiction, leadership of people at work) weigh an author’s platform about as much as they do an author’s content in choosing who to publish. While I had larger than average networks on Facebook and LinkedIn, I did not have a large Twitter or website subscriber list. It is a bit of a “Catch 22” situation for first-time authors – a new author plans to use a book to get a readership, but publishers want authors to already have large readership before they will publish their book. 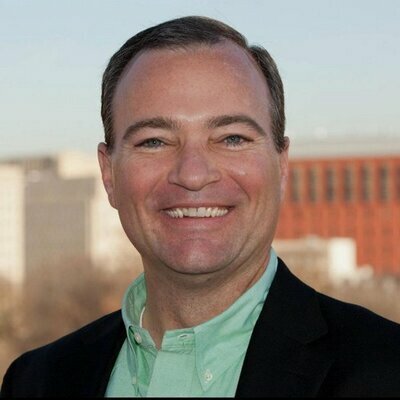 I ended up partnering with Mike as a co-author on my book for many reasons, including his existing platform. Partnering with Mike was a great decision that has made the book and the experience much better. Blog along the way to create marketing content – As soon as I got to a point where I thought I might be publishing my first book, I started blogging about the experience. I did it partly as an outlet for me to get in the habit of writing and to remember the experience later on. The blog has also proven to be valuable for the marketing of the book. Once I started telling people that I got a publishing deal, several people contacted me to ask me what the process is like to get published because they had been thinking about writing a book for a while. (I have a feeling every author gets these questions.) [Yes, Victor. They do!] My blog content became a useful resource to point people to, while also gently promoting sales of my book. I pitched a summary of the blog as an article to several outlets, and one big one (the Wharton School alumni magazine) published it and made me a recurring contributor. Involve your network whenever possible – Every author ends up hitting up their social and professional networks to sell books. Involving your networks in your process is a nice way to warm them up so they don’t feel like you view them as just sales leads. When the publisher came up with a couple of options for the book cover art, I posted them on Facebook to ask for people to comment and vote. I ended up getting about 50 people from four different continents. It was a fun way to announce the book and get their involvement. They also gave great and clear feedback that we used to make the right choice and make it better. I thanked everyone for their feedback and let them know that they should feel a bit of ownership when they saw the final product on bookshelves nine months later. Rotate, don’t saturate – Since the success of that post to vote on cover art options, I have been posting occasional updates to my Facebook network as I reached major milestones in the writing process (e.g., when the book showed up for pre-sale on Amazon, when we submitted the manuscript, etc.). Every time I post, I carefully monitor the amount of “likes” the post gets. I can pretty accurately tell whether my post will get a lot of likes within the first 30 minutes of posting. If I see one is not going to be popular, I delete it. I do this to limit overexposure of the quasi-commercial messages on my personal Facebook network. This is particularly important because the process from publishing deal to books being shipped is going to be nine months. If I am not careful, people will be sick of hearing about the book by the time it comes out. Rotating posts about the book between my Facebook and LinkedIn audiences also helps keep the overexposure risk down. Blitz the blogs (in a quality way) – A few months ahead of your book release date, you should contact the blogs that connect with the same target audience of your book to see if you can do a guest post to get the word out about your book. The guest posts can feature excerpts of your book or other content tailored for their specific niche. In your message to the blog owner, you should make it clear how your content will help them and that you will make it as easy as possible for them by doing all the hard work for them. You should cast a wide net, as you will likely get a lot more “no’s” or no responses than yeses. You should also reach out months in advance as many of the bloggers who do take guest posts like to schedule them far in advance, so you are better being too early rather than too late to land an open slot exactly when you want it (e.g., around your release date). Good luck with marketing your book. 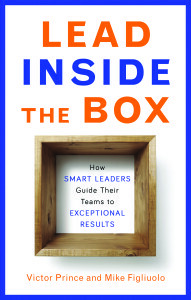 My book, Lead Inside the Box: How Smart Leaders Guide their Teams to Exceptional Results, comes out on July 20, 2015 and is available on Amazon and other retailers now. To get an overview of the book (including a free online assessment to apply the book’s core framework to your team), visit us at LeadInsideTheBox.com.